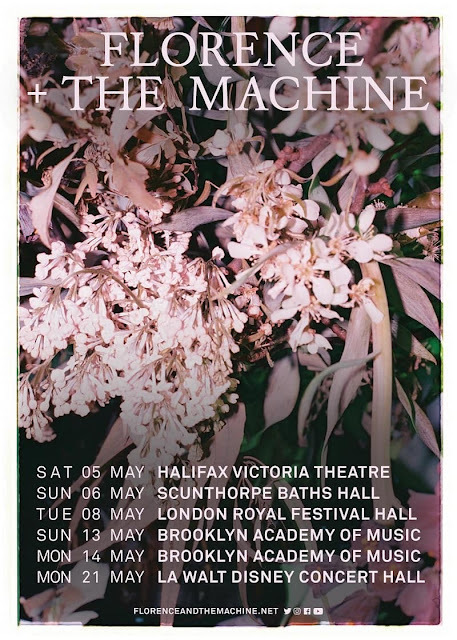 Florence + the Machine have today announced details of a series of intimate shows, including a date at London’s Royal Festival Hall on May 8th. Tickets go on sale this Friday (April 27th) at 10AM BST. Florence + The Machine recently unveiled beautiful brand new track, Sky Full Of Song. Released in association with Record Store Day, ‘Sky Full Of Song’ was launched alongside an A.G Rojas-directed video and an immediately-sold-out 7” vinyl, backed by a recording of New York poem (for Polly). This summer will also see the release of Florence’s first book, Useless Magic: a collection of lyrics, artwork and poetry which offer a unique, personal insight into her creative process. Useless Magic’will be released on July 5th via Fig Tree / Penguin.